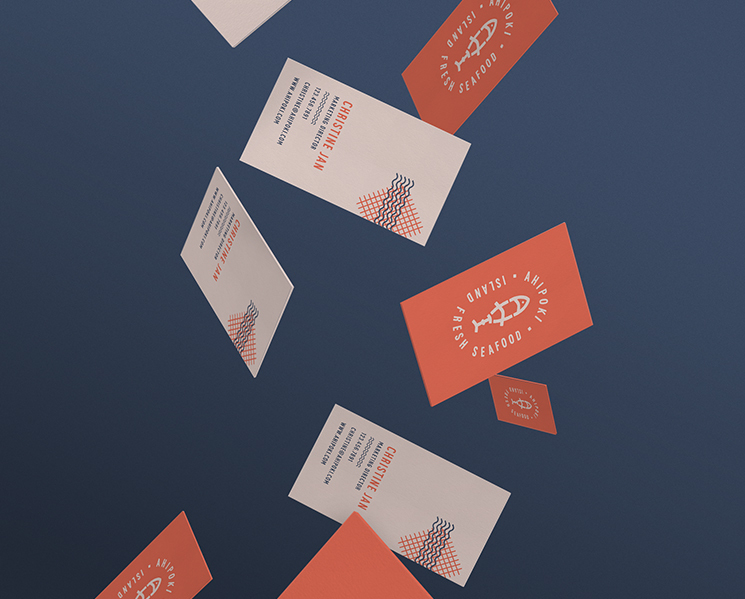 Ron Gibbons at Simmer Group designed these business cards for AhiPoki, a Hawaiian seafood restaurant. To understand the concept behind the design, first, we need to know that the word ‘Poke’ is the Hawaiian verb for ‘section’ or ‘to slice/cut’. At the center of this fascinating design, there’s a fish logo which is formed by the word ‘AHI’. “Based on the concept of cut sections we used the letterforms of ‘Ahi’ to create the shape of a fish in three slices. The bold letterforms and roughened edges project the retro Hawaiian design aesthetic creating a strong, unique identity. The expansion of the brand relies heavily on Hawaiian surf culture, bringing ‘Ahi’ back to its roots,” Ron explained. Clever use of wavy lines made people think of the ocean waves immediately. With fish on one side and the waves on the other, it sends a relaxing vibe while building anticipation on having a nice treat at the restaurant!